As of July 1, 2017 tax preparation services are required to employ only individuals registered with the Board of Individual Tax Preparers, actively licensed certified public accountants, IRS enrolled agents or attorneys. Read the Maryland Tax Payer Protection Act online. Owners of businesses are required to determine the qualifications of prospective employees prior to them assisting, advising or filing tax returns on behalf of Marylanders who need to file federal and state income tax returns. To get the professional status of an individual, see the Maryland Tax Registration Search, Maryland Licensed CPA Search or Maryland Attorney Listing. To determine if someone is an enrolled agent, see Verify the Status of an Enrolled Agent with the United States Internal Revenue Service. 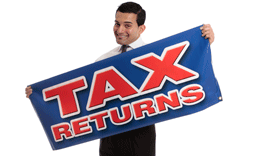 Individuals who provide or offer to provide tax return services must obtain a registration from the Board. Actively licensed certified public accountants, enrolled agents, attorneys and certain other individuals are exempt from the registration requirement.